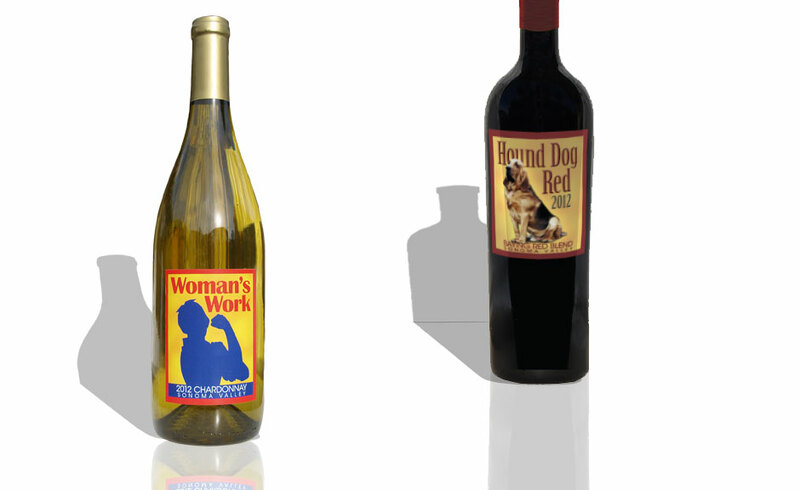 As a gift to wine club members, Trinitas Cellars (left) planned to give custom-made wine charms (using the visual elements in their logo). The trick was creating packaging that reinforced the brand’s message and attractively displayed the charms. But wait! There’s more… In addition, to test the effectiveness of the gift, the client wanted to extend a 10% off discount on the back of the wine charm packaging card. The design challenge: Ensuring no key information was blocked by the actual wine charms attached to the card. Tuscan Cowgirl Dezerts (right) brought lots of specific visuals ideas to the table that they wanted combined: The cowgirl was a metal figurine they wanted on the label. The landscape background evolved from elements of several pictures, paintings and tapestries. To top it all off, the client requested the cowgirl be lassoing a rope (originally around the company name). All requested components were seamlessly integrated into the design for a cohesive and unique look for this high-end baked goods company. Electrician by day, winemaker by night, this garagiste winemaker chose the name and base artwork as it related specifically to a vintage in which very careful harvest picking was required (left). The color scheme was chosen to honor the original Rosie the Riveter artwork but with an updated look that reflects a completely different industry. The second wine – a red blend – was designed to have a somewhat similar appearance but no silhouette. A howling good red! Both design projects’ primary challenges were meeting the client’s limited budget. With less than a barrel’s worth of wine each, only a small number of labels were required. On demand printing techniques were used with a peel ‘n’ crack cold adhesive.